Also known as "glamorous camping," glamping incorporates luxe items and resort-style amenities into the rugged outdoor environment, offering campers the best of both worlds. Add a dash of glamour to your next camping trip with these must-have items. 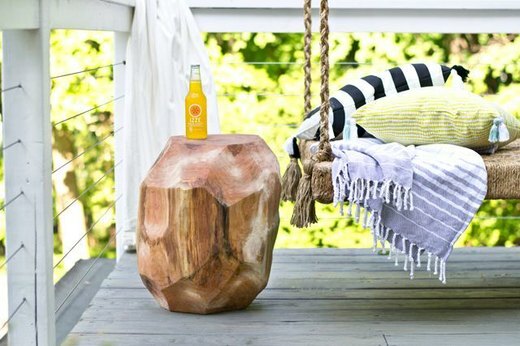 A log side table fits right in with the outdoor setting, but the geometric angles elevate it from simple to chic. Use it to create an intimate seating area or reading nook. Swing to the rhythm of nature in a relaxing hammock. We dare you not to have the best nap of your life. Ensure sweet dreams on your glamping adventure with a lace doily dreamcatcher. Legend has it the web catches good dreams that slide down into the sleeping minds below it. 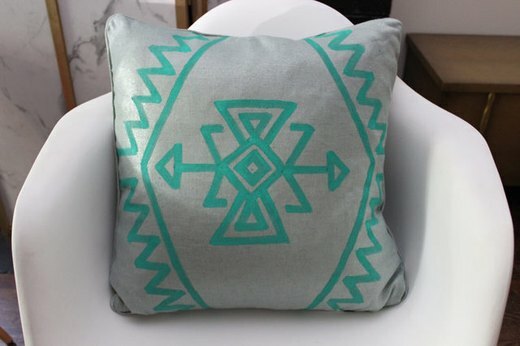 Dress up your camping space with a hand-painted kilim pillow. 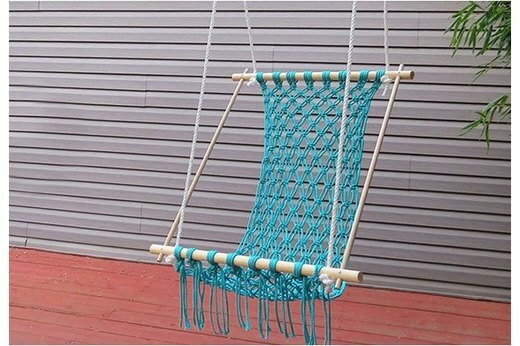 It will add instant color and pattern to your sleeping quarters or lounge area. 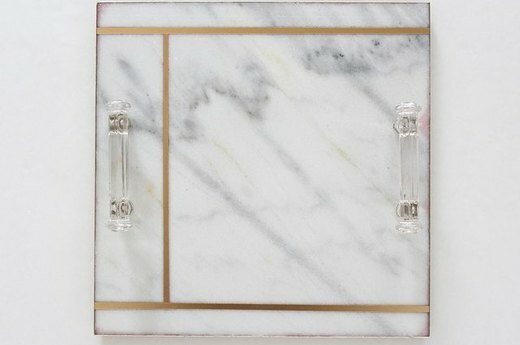 No one will miss room service when you serve snacks or cocktails on an elegant marble serving tray. Cheese plate, anyone? Let there be light -- stylish lighting, that is. 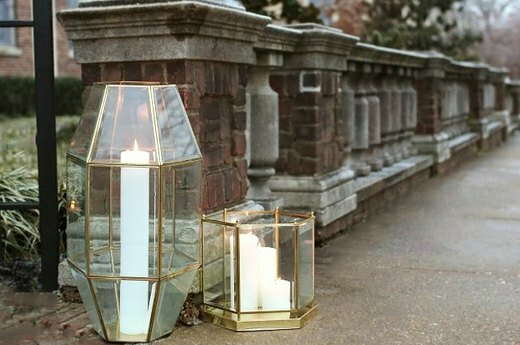 Fill these trendy geometric lanterns with flameless candles if you don't want to worry about open flames. 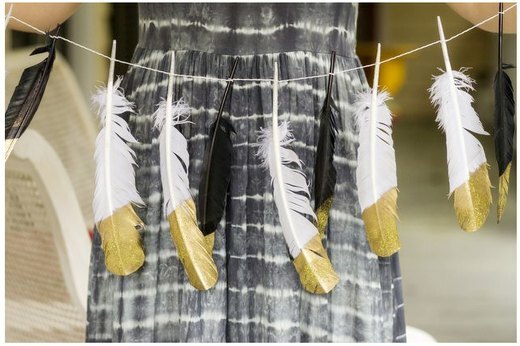 String up a glitter-dipped feather garland. 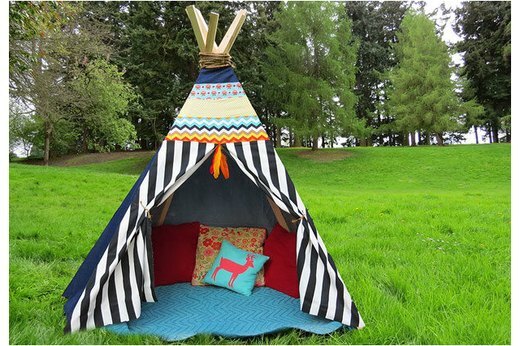 A little bit rustic and a little bit boho-glam, it'll add some sparkle to your campsite. 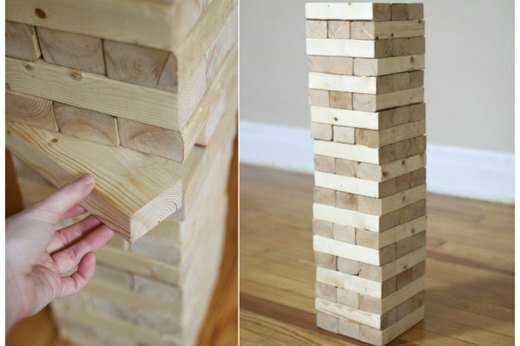 Challenge your fellow glampers to a friendly game of Jenga. You won't have to worry about losing any game pieces in the woods with this giant-sized version. 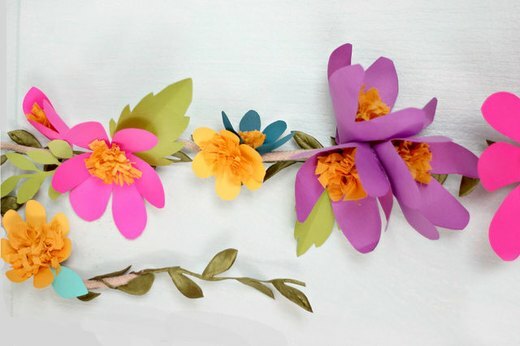 Add a pop of color to your camping quarters with a paper flower garland. Talk about art imitating nature. 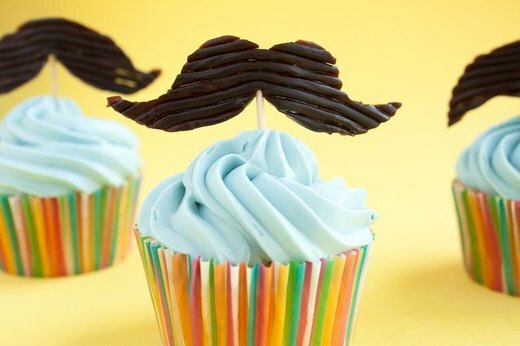 Because cupcakes are more fun (and hipster) when they're topped with edible mustaches. Whether you're glamping with ladies or gents, dessert is sure to be a hit. 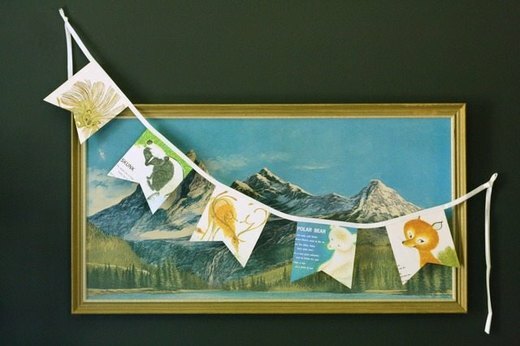 Take campfire stories to another level with this book page banner. Literature lovers, this one's for you. Every good glamping trip needs a signature cocktail. 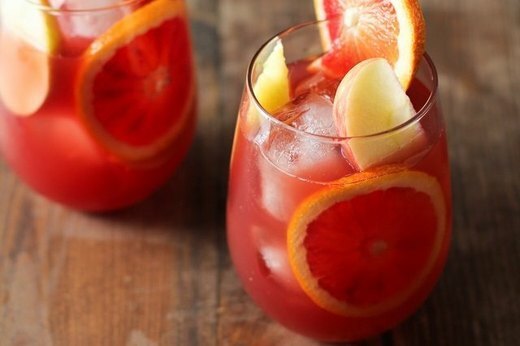 This refreshing pomegranate citrus sangria will do just the trick. Bonus: the longer it sits, the more flavorful it becomes. Forget about packing up your tableware in a ho-hum box or crate. 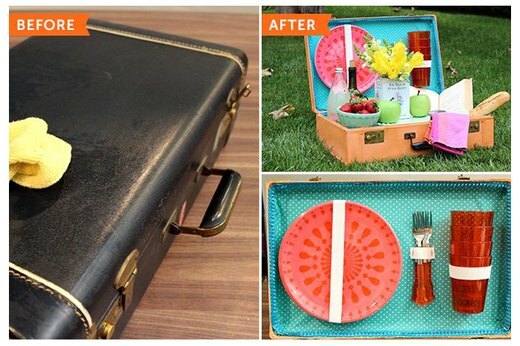 Instead, organize and transport them in a vintage-inspired suitcase-turned-picnic basket. Fire up the grill and get those burgers sizzling. 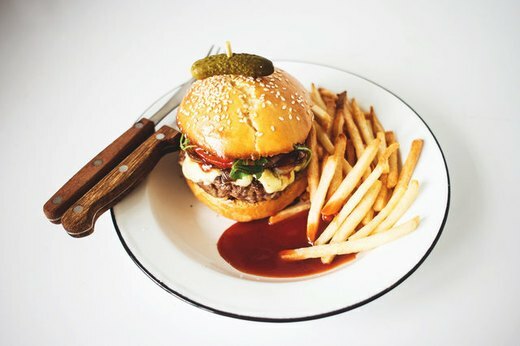 Elevate them to a glamping-worthy entree by serving them on a soft, fluffy brioche bun. Create a cozy atmosphere with rustic tin can luminaries, which give off a subtle glow. Since they're portable, you can carry them to light the way around the campsite.